The theory of evolution has been watered and manured for over a hundred years by incompetent, insensitive, and irresponsible scientists who have lost their ability to blush, but some young earth creationists in Kentucky have put them under a very public microscope. And evolutionists are blushing big time—and are angry. Evolutionists have had their knickers in a knot since Ken Ham, president of Answers in Genesis, announced his intention to build a state-of-the-art, 27-million-dollar creation museum in Northern Kentucky near the Cincinnati Airport. It was opened in May of 2007 as knees began jerking in every secular university in America—left ones of course. Those evolutionists (believers in freedom, fairness, equality, and civility) did their best to kill the very ambitious project. The necessary funds were given by generous Christians and no tax dollars were used to keep their doors open. That can’t be said about thousands of other museums across the nation. The typical U.S. museum derives “just over 24 percent of its operating revenue” from local, state, and federal sources. Most of them are non-profit so they don’t pay any property taxes nor do they pay any taxes on their revenue. The Creation Museum did get some concessions from the county as a quid pro quo for bringing millions of tourists to the area. 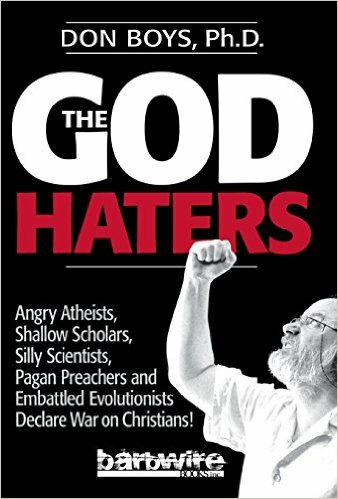 God haters, evolutionists, and general commentators tried to excel each other in their negative comments about the creation museum. One called it “Ken Ham’s fabulous fake museum,” while another dubbed it the “Fred and Wilma Flintstone Museum.” Of course, Eugenie Scott, head of the National Center for Science Education, had to add her two cents calling it the “Creationist Disneyland.” Eugenie is an avowed atheist whom I debated on the “Pat Buchanan Show” while promoting my book, Evolution: Fact, Fraud, or Faith? During that show, Pat and I applied enormous pressure and she reluctantly admitted the slight possibility of a supernatural Being. She may deny her confession but I have it on tape. I hope that revelation doesn’t cause her to lose membership in the American Association of Atheists. Ham and his crowd were not fearful that the truth might offend someone. After all, if children are taught that they are only advanced animals then why not act like animals? But some will argue that that is indoctrination but then does anyone suggest that evolution is not indoctrination? Another critic called the museum “an impressive and sophisticated visual argument on behalf of young Earth creationism and a highly politicized fundamentalism.” Hemant Mehta said that the “layout at the Creation Museum really is beautiful. However, the quality of information is worthless, which makes the ‘museum’ nothing more than an expensive way to confuse and indoctrinate children.” Mehta is a flaming atheist and hater of the Creation Museum. Whatever the critics may think of the museum, the taxpayers in Northern Kentucky seem to be pleased. In 2015, the Creation Museum and AiG were recognized on the Cincinnati Enquirer’s list of top 100 workplaces in the Cincinnati/Northern Kentucky region. The assessment was made based on a confidential survey of employees conducted by an independent research firm. We visited the museum recently and were delighted at the accuracy of the content and the class with which it was done. That may be the reason for the left’s antagonism, anger, and attacks: evolutionists would not be so belligerent if the museum were done in a shoddy way with mediocre displays, misspelled words, and gaudiness. The critics simply can’t abide Fundamentalists or Evangelicals with class. Ham and his crew tell the story of life starting with the Seven C’s of History: creation, corruption, catastrophe, confusion, Christ, cross, and consummation. The accompanying displays support that story based on true science and the Bible. I have not seen any critic attempt to disprove the museum’s message since they cannot do so. They do attack the museum with arrogance, anger, and absurdity since they don’t have the answer to evolution’s major problems. • Tell us that you do or do not believe the unsupportable, unscientific, and unlikely—even outrageous teaching that nothing created everything. I promise not to laugh out loud–maybe only a snicker or two. And don’t try to flimflam common people with scientific jargon, but make your points in clear English. Do you really believe that nothing created something and something created everything? • Tell us how all the natural functions such as gravity, inertia, the First and Second Laws, laws of planetary motion, etc., began. How does a natural function evolve? If they did not evolve, where did they come from? • Did the formation of those natural functions (now identified as scientific laws) precede or follow the Big Bang? What was the facilitator? 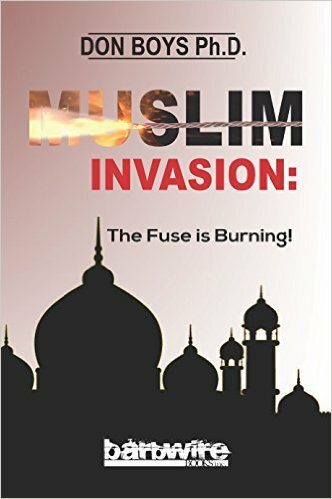 • Can you provide any example of an explosion resulting in order? • Tell us how life first formed on a planet made up entirely of rock. All atheists want to sit down beside Darwin’s warm, little pond and watch the first forms of life but I demand we go back much further than that. • Do you, or do you not, believe in spontaneous generation? No honest, informed scientist will agree to that irrational fable! • Where are the ancestors of insects? • Explain the Cambrian Explosion: why do all the fossils in the lower level of the Geologic Column appear in their final form with no fossils indicating a transition from lower to higher creatures? • Why are meteorites not found in ancient rocks? Could it be because the universe is not that old? • Tell us how men and women evolved at the same time in history at the same location? What if “early man” had been all male? • Which evolved first, the mouth, the stomach, the digestive system, or the elimination system? What good is a mouth if there is no stomach or a digestive system and what good are the three without an elimination system? 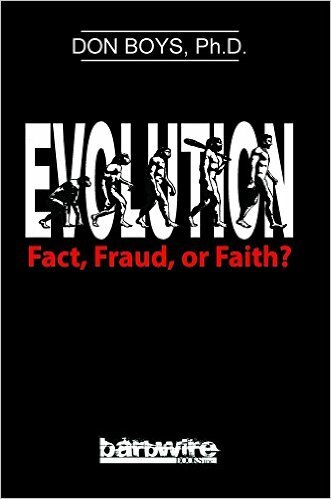 It would be interesting to have an evolutionary “expert” (anyone with a briefcase, a goatee, a cheap suit, and tenure) to provide answers to the above.